An announced crowd of 2,149 people braved the cold to attend Thursday’s season-opening game at Modern Woodmen Park, but Quad Cities River Bandits fans saw their team lose 2-0 to the visiting Cedar Rapids Kernels. Shane Carrier drove in both runs for the Kernels, on a 1st-inning sac fly and a 4th-inning solo homer. That was enough offense to give Cedar Rapids its eighth consecutive win in a season opener. 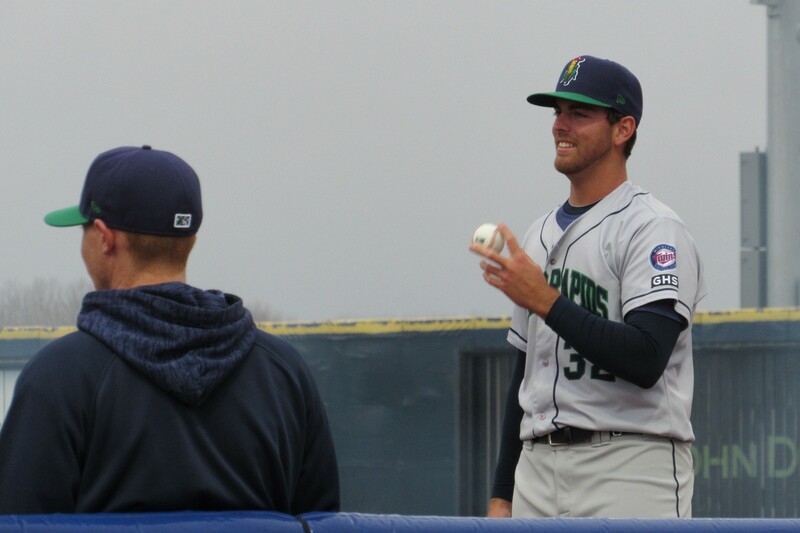 LHP Bryan Sammons started the game for the Kernels, scattering three hits while striking out six batters and walking none in four scoreless innings. RHP Jared Finkel got the win after pitching three scoreless innings in relief. Andrew Bechtold reached base four times for the Kernels, on a single, a double, and two walks. 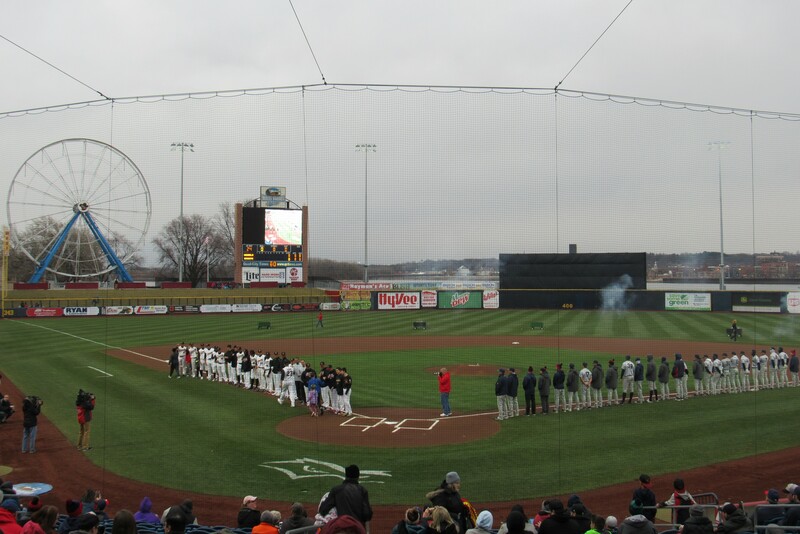 Opening Day was an interesting one across the Midwest League, with several notable pitching performances (including a one-hitter), a snow-out, and the first implementation of MiLB’s new extra-innings rule in the MWL. I wrote a wrap-up of all the day’s action as exclusive content on my Patreon site, which can be accessed here for a minimal monthly pledge of $1 to help support my MWL coverage.